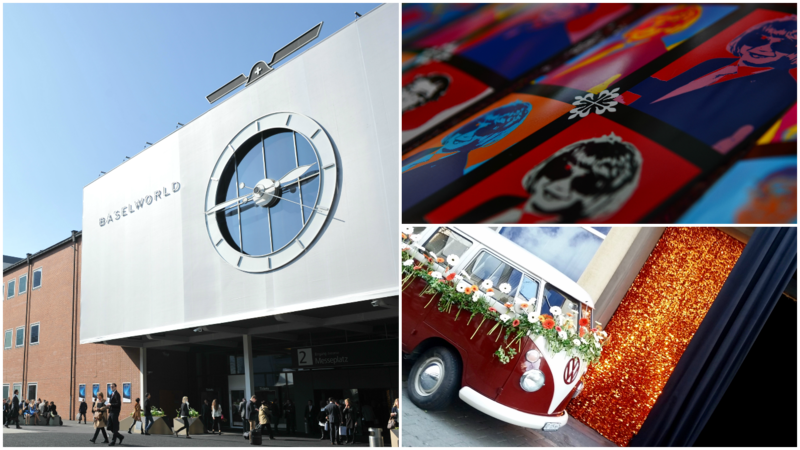 BaselWorld happens every year in March in Basel. During a week, all the most famous brands of jewellery and watches show their latest collections. We were glad to be there as professional photographers for a famous brand. During this evening, we set up a photo studio and printed instantaneously the pictures. For the occasion, we made a personalized pop art Andy Warhol style frame and the guests left the evening with a fabulous memory of their night. The photo studio includes a metallic structure, a light system and a white or personalized background. The printed pictures are also customizable according to the client’s needs, i.e. photo size, frame, logo and etc. If you want to enjoy our photograph services, simply contact us.